This necklace consists of five agate slices suspended from chain. It is tied with silk strands. The colors are pretty bright and clashy. 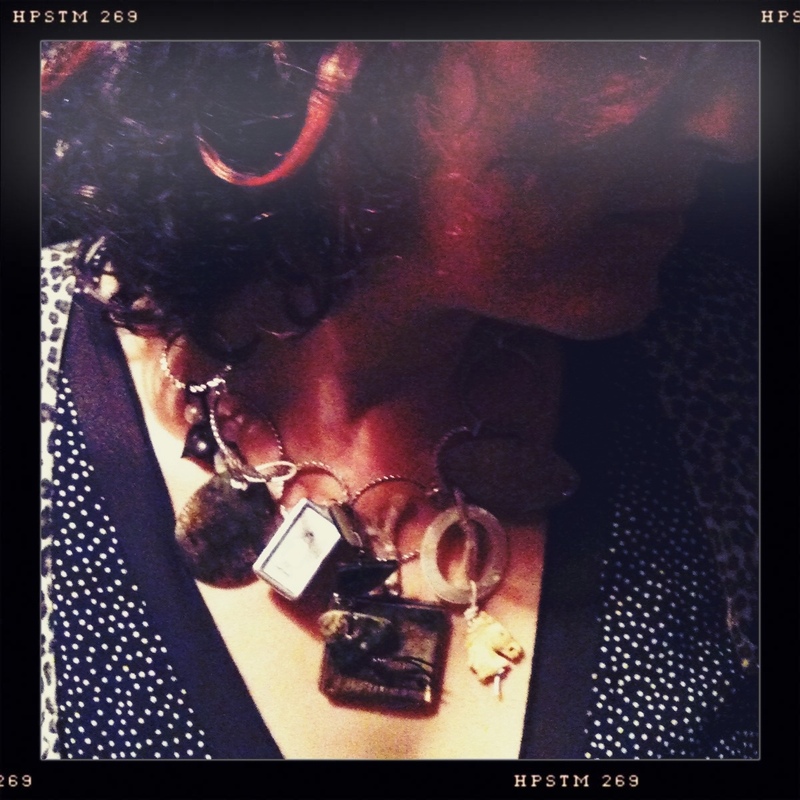 The necklace itself is sort of like wearing a wind chime. This necklace is made of ceramic ‘fan’ beads and silk cording. The ceramic beads are all by Elaine Ray and the silk cording laces them together. The many dangling silk cords have beads knotted along the ends. The beads chime against each other when I move: the effect is either lovely or annoying, depending on your personal tolerance for noises. I love that this necklace is both dramatic and simple. The construction is so basic: laced silk holds the pieces together, yet the effect is over-the-top in scale. Tonight I wore this necklace with a favorite blouse and sweater combo. 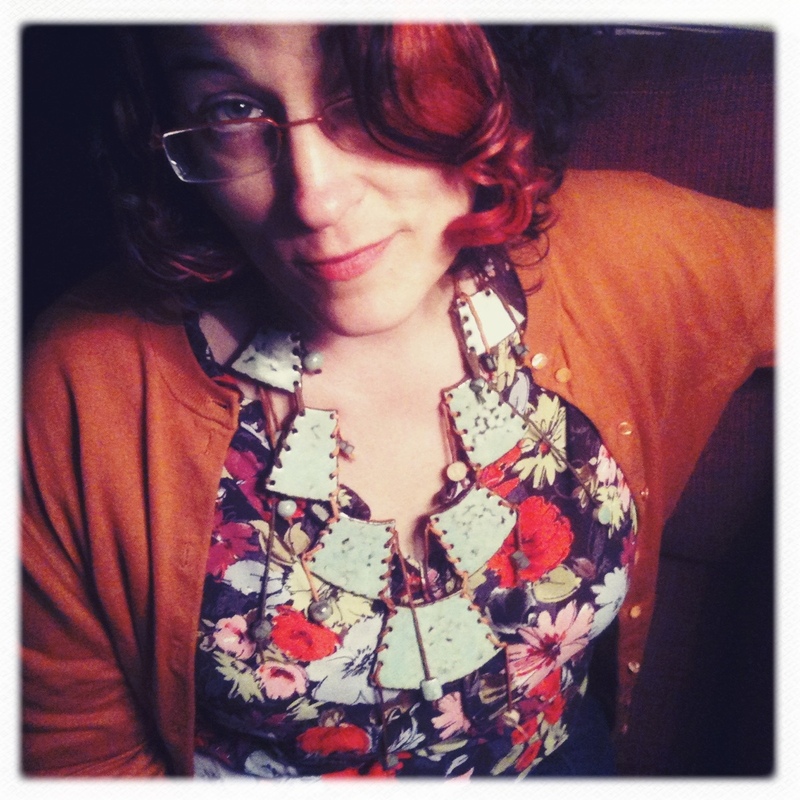 The necklace is a bit tribal for the floral blouse and cardigan sweater but I like that mix.